A portrait of Margaret Bethune, which is housed at the Mary McLeod Bethune Foundation, located at 640 Dr. Mary McLeod Bethune Boulevard in Daytona Beach, Florida. 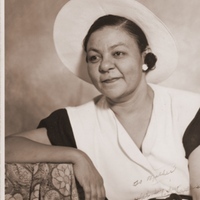 Bethune was the daughter-in-law of Dr. Mary McLeod Bethune (1875-1955). 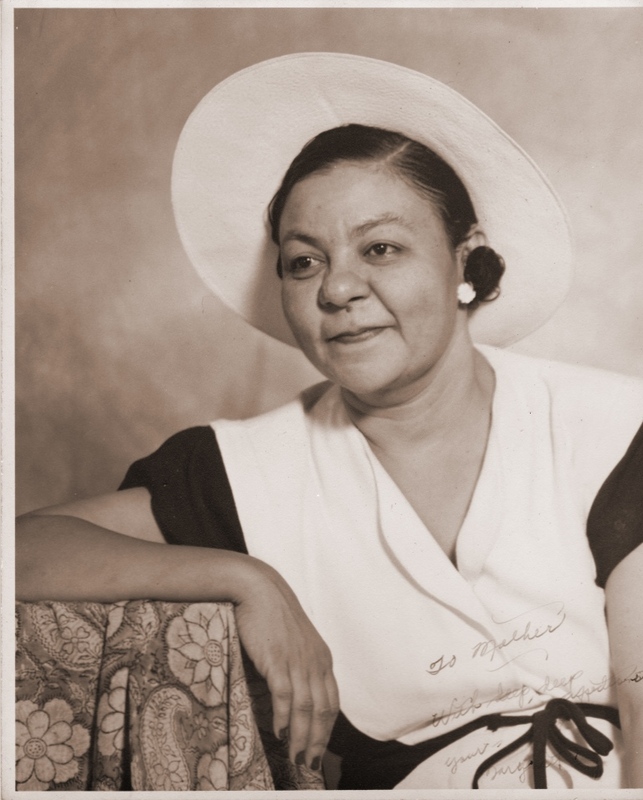 She married Dr. Bethune's son, Albert McLeod Bethune, Sr. Bethune also enrolled in mortuary school sometime between 1934 and 1941. Original 8 x 10 inch black and white photographic print: Sun room, image 172, Mary McLeod Bethune Foundation, Daytona Beach, Florida. Sun Room, Mary McLeod Bethune Foundation, Daytona Beach, Florida. Bracey, John H., Jr. and Meier, August, ed. "Mary McLeod Bethune Papers: The Bethune-Cookman College Collection, 1922–1955." University Publications of America. http://cisupa.proquest.com/ksc_assets/catalog/1397_MaryMcLBethuneCollege.pdf. “Margaret Bethune.” RICHES of Central Florida accessed April 24, 2019, https://richesmi.cah.ucf.edu/omeka/items/show/5163.